Strategically designed, visually stunning websites that are optimised for results. 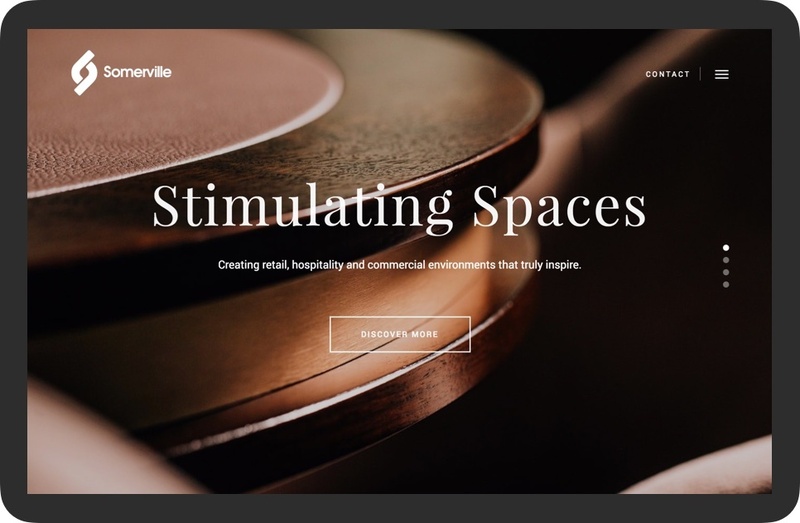 Your website is often the first touchpoint that a customer will have with your business, so it’s essential that they have a positive and memorable experience. Our unrivalled ability to create fresh unique and visually appealing websites has resulted in us working with many recognised global brands. Our award-winning formula combines considered User Experience (UX) with stunning creative design, ensuring highly memorable brand experiences. Here are just a few reasons why you should consider choosing us for your next website project. We create stunning websites that showcase your business in the best way possible and help you stand out from the competition. 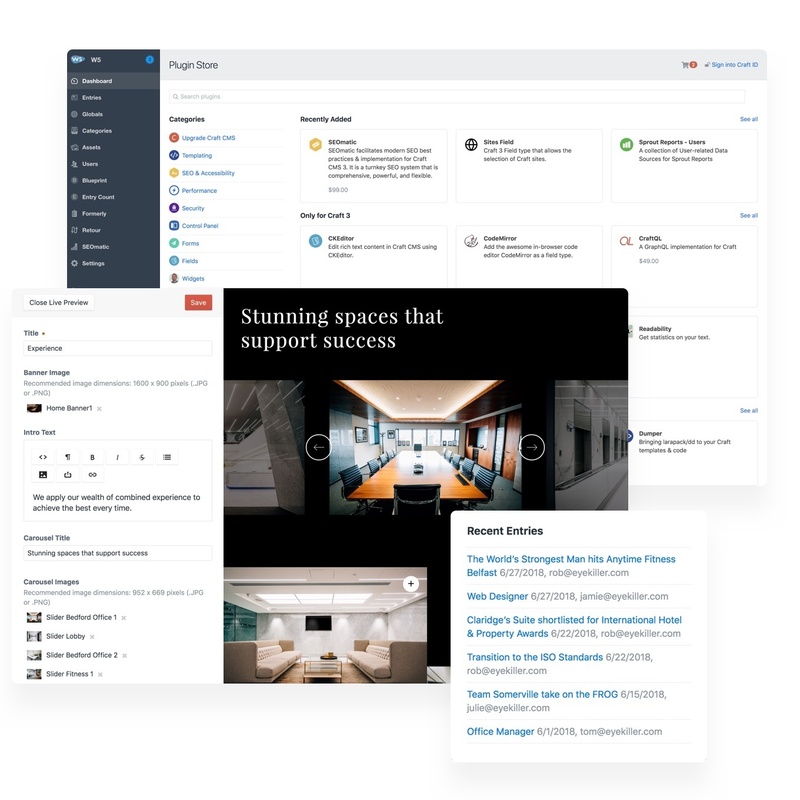 We use modern and flexible Content Management Systems that make it easy for you to manage your content and keep your site up to date. We take great pride in our work, paying attention to detail to guarantee the highest quality outcomes in everything we do. Our websites not only look great but are strategically planned to deliver your business objectives and ensure ROI. Our websites are strategically designed to engage visitors and drive them to become new sales leads for your business. 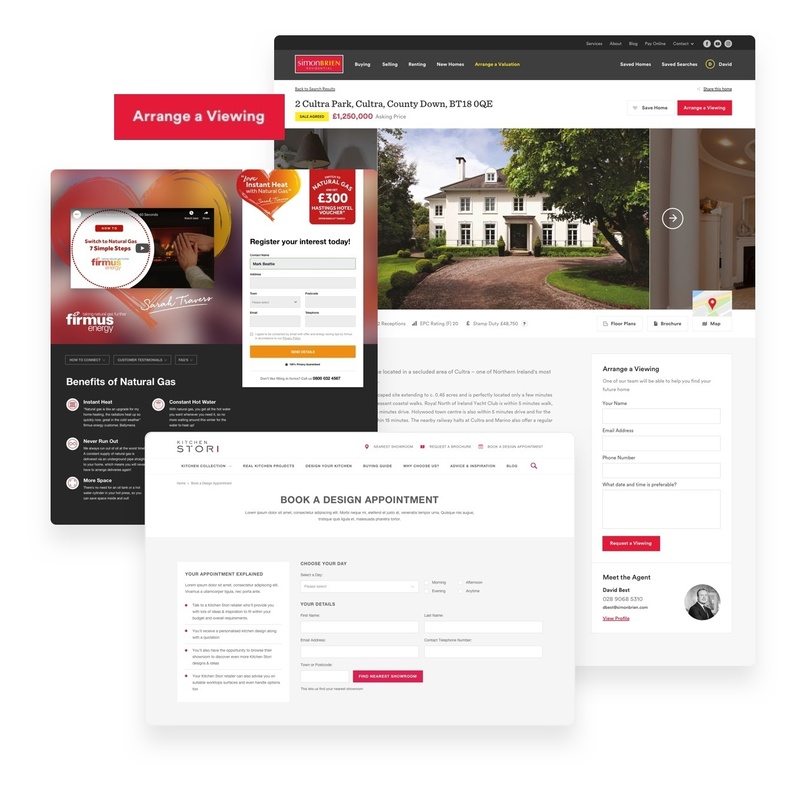 We combine best practice techniques, UX and digital marketing activity to deliver websites that generate a high return on investment. Behind the scenes, results can be monitored in real time, and small refinements can be made to further maximise the website performance. Responsive design enables your website to maintain brand fidelity and provides a first-class service across all devices. Regardless of whether your visitor is browsing on a desktop computer, tablet or smartphone, a responsive website will seamlessly arrange its content to fit the screen. Eyekiller’s fluid layouts are crucial to delivering and maintaining this consistent customer experience. 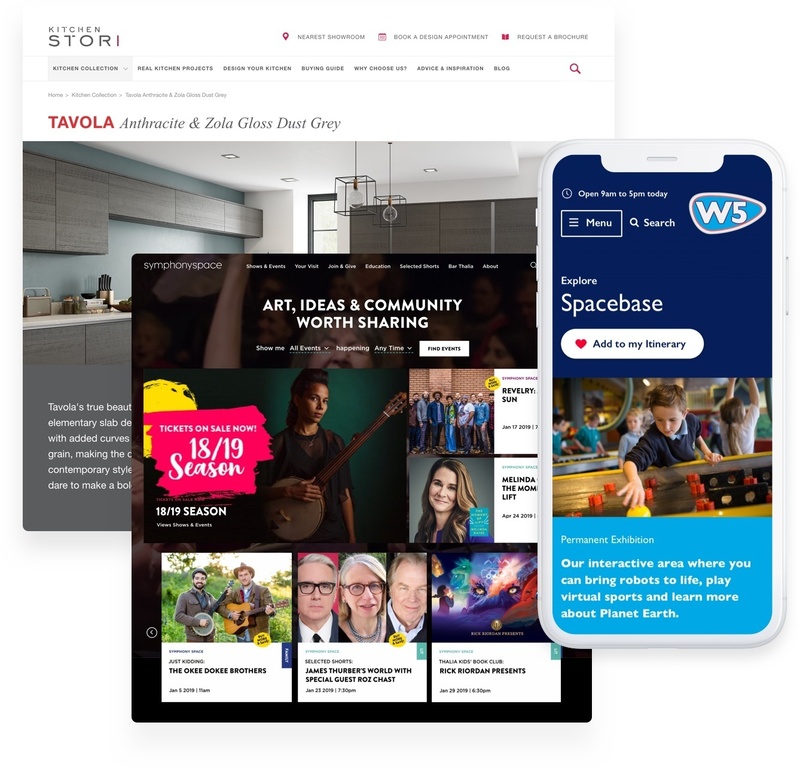 Our award-winning responsive websites have been recognised not only for their remarkable design but also for their usability, accessibility and lead generation strengths. Your audience is at the centre of everything we do. Such customer focus ensures that every element plays its part in making the overall browsing experience as effective and efficient as it can be. Each component is also assessed for its lead generating potential. We take time to research your target audiences to understand their behaviours, needs and values. We then align these findings with your organisation’s objectives to inform every digital touchpoint. With considered UX design as the foundation of each project, your visitors will quickly find the information they need, browse for longer, become leads complete key tasks and potentially develop into brand advocates. Keeping your website’s content fresh and up to date secures attracts the attention of search engines and encourages your audience to keep coming back for more. Every website we develop uses an integrated Content Management System (CMS) to put you in full control of your images, videos, downloads and text. 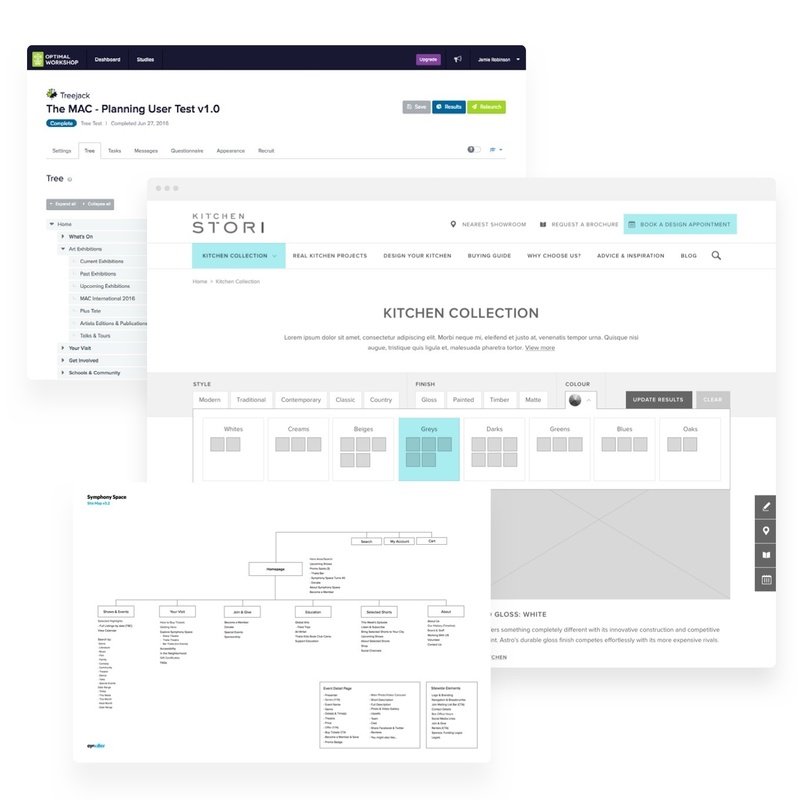 Every element of your website’s content can be managed in-house, and all through a simple online control panel without the need for technical knowledge.